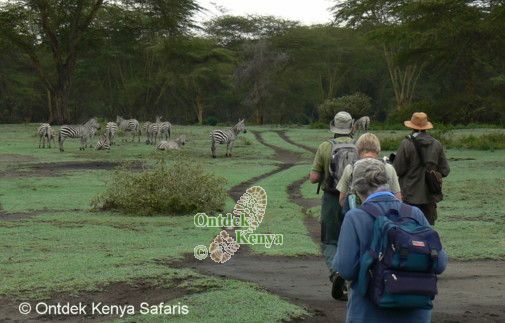 African Travel articles by Anne Huysman owner of Ontdek Kenya, the Kenyan leader of walking tours, bird watching holidays and responsible wildlife safaris away from mass tourism. Anne has 20+ years experience as a safari operator and her travel articles which are widely published will keep you in the know of inside issues as you plan your Kenyan safari. Read on. For a wildlife biologist there is a very thin line between work and travel as the decision on where to travel is often influenced by the long ingrained elements of a biologist’s work. Figure it, is there a time or place that a wildlife researcher wouldn’t stop to give a second glance and maybe a slight pat (where safely possible) to a living thing. Read more. The flamingo is the poster bird not only for Lake Nakuru Kenya but it is also the most recognized wild bird species that has put Kenya on the map as an ornithological destination. The down side of the above scenario to ornithologists is that other exciting wild birds are often overshadowed by the “poster” bird fame. Read more. With the internet you now have access to thousands of local Kenyan tour operators, with the advantage that you can book your safari-holiday at a fraction price of what an agent in your country can give you. The disadvantage is that the responsibility of vetting which operator to book with rests on you and should you fail to do due diligence, you suffer the consequences. Read more. Regardless of one's ranking in the bird watching hierarchy, every birder has the bird that brought the Wooo moment - when you nearly drop your binoculars and say "this is the one". Often we expect the moment to come with planning of an excursion or an expensive holiday but rarely do we expect a bird to literally fly into our face and say "Here I am". Read more. Taking a private holiday to Kenya is one of the most satisfying travel experiences. Though travel to Kenya is often generalized under the safari brand, there is more to safari than just wildlife viewing. A private holiday lets you expand your safari vision to include all the personal elements that are your signature when traveling. You have the flexibility to set your own travel time and to choose the people you want to travel with. Read more. Booking African wildlife travel was relatively easy when the safari travel market was dominated by a few wholesale safari operators. All you had to do was visit your preferred travel agent's office or ask for a brochure by post. You booked your safari in deep trust that your travel agent had carefully vetted the African operator who will handle you on the ground. Read more. Nothing is flattering when you are referred to as obese, XL or overweight and it is possibly this kind of name bashing that prevent plus size travelers from joining walking holidays. But they raise families, work themselves up the corporate ladder and attend their children's sports meetings, so where are they if we can't see them on our favorite walking trails? Read more.